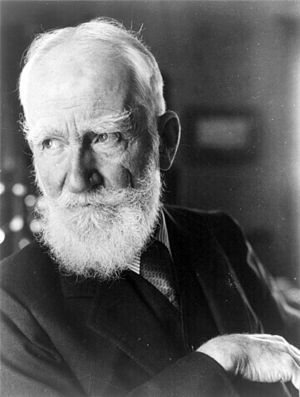 “The Soviet Story” was a revelatory “documentary on progressivism.” In a revealing excerpt, George Bernard Shaw, the famous playwright and literary critic was filmed in the early 1930s openly defending Hitler, mass murder and genocidal eugenics. The documentary explains liberals’ love affair with fascism, saying: The left supported Hitler not because he deceived them. They knew Hitler would kill. He said he would. In fact, it was why they supported him.The progressive movement has always been filled with socialist and liberal intellectuals who love to praise depraved tyrants like Mussolini, Lenin, Stalin and Hitler as men of action who, unlike the bureaucrats in our democracies, could get things done. Remember Stalin apologist Walter Duranty, a foreign correspondent for the New York Times who during the ghastly purges in the Ukraine in 1932-33, where over 7 million people were starved, Duranty heartlessly rationalized, “In order to make an omelet you have to break a few eggs.”The ultimate expose on the radical nature of our 44th president: “The Manchurian President: Barack Obama’s Ties to Communists, Socialists and other Anti-American Extremists”The leftists of the Liberal-Fascist Axis have never been shy about their admiration for totalitarian government, using the Machiavellian idea of the end justifying the means as a common pretext for killing millions of people through ideology, eugenics, war, the Holocaust, abortion, social revolution, ghettoization, redistribution of wealth, the Green movement, etc. : All diabolical means are permissible for progressives to achieve their utopian kingdom of power and control on earth. Obama and Congress Throw Seniors Under the Bus. May 27, 2010 — The dreaded 21.3% reduction in Medicare reimbursement for physicians will likely take effect June 1 as scheduled following the failure of House and Senate Democrats tonight to pass the necessary legislation to stop it. The Memorial Day recess for Congress officially begins Monday, but lawmakers will start to leave the nation’s capital tomorrow. Democratic leaders who have tried to avert the massive Medicare pay cut say they simply have run out of time to cut a deal. They might have beat their deadline if it had not been for staunch opposition from both Republican and Democratic lawmakers who argued against the deficit spending involved in the legislation. Anticipating that Congress might not act in time to avert the June 1 pay cut, the Centers for Medicare and Medicaid Services has instructed its carriers this week to hold payment on claims with June service dates for the first 10 business days of the month. That way, if Congress retroactively postpones the pay cut early next month, carriers would process the suspended claims at either the current reimbursement rate or any higher — and temporary — rate that lawmakers might approve. Obama and Congress Throw Seniors Under the Bus. » Not Good News. Ex-Obama Pastor: ‘Obama Threw Me Under the Bus’.